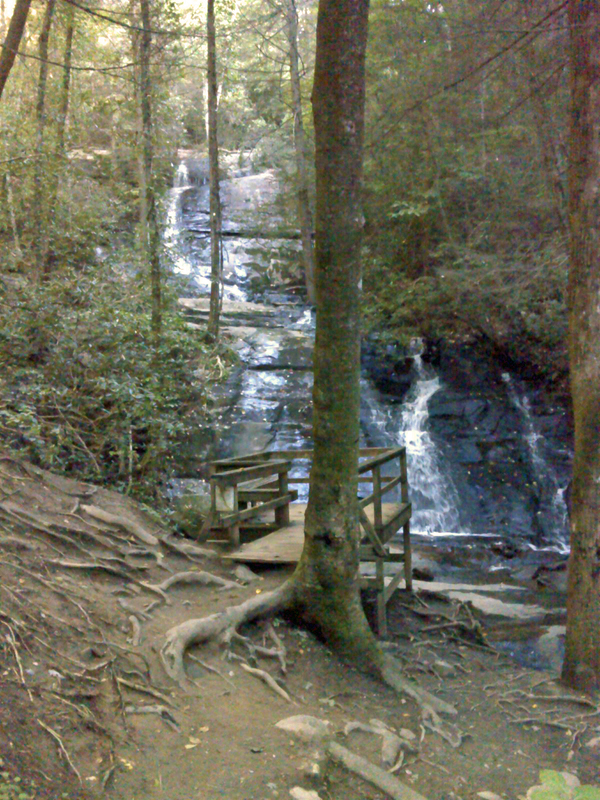 Fall Branch is not a big stream, and it's not very long or otherwise distinctive, so obviously they named it for its waterfall. It's a beautiful robust double cascade--well worth the quarter mile hike from the trailhead, especially with all the recent rains. 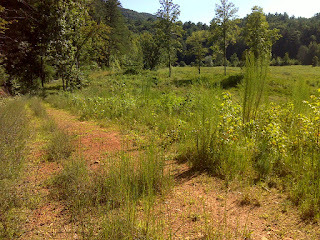 As you can see from the trampled ground, this is one of the most heavily walked sections of the Benton MacKaye Trail. 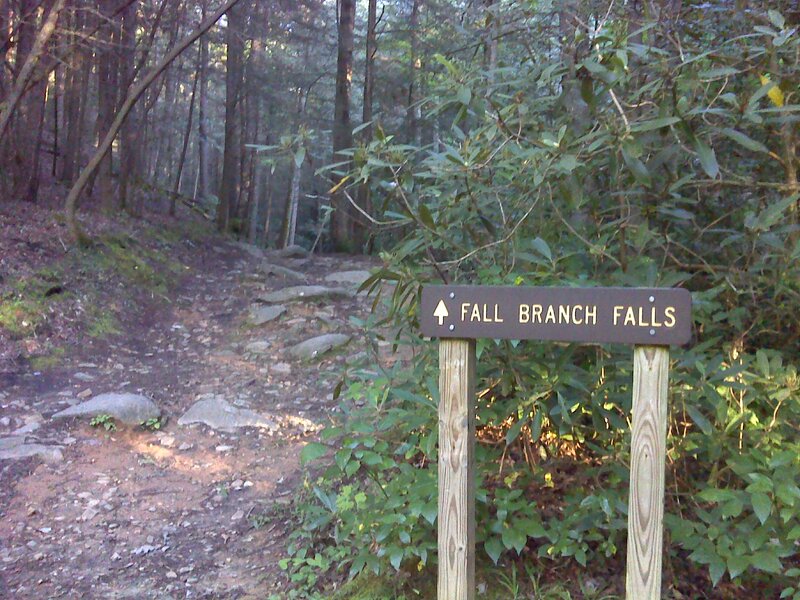 So ... the stream is called Fall Branch. What did they call the waterfall itself? 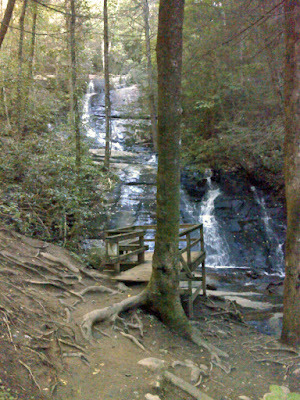 Fall Branch Falls was one of the highlights of this section of the BMT. 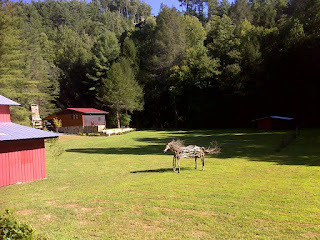 After leaving the Toccoa River headed northbound (for me it's southbound. 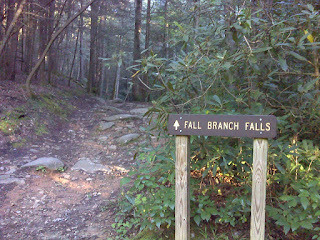 In compass directions it's westbound) there is a three mile road walk to the Fall Branch trailhead. 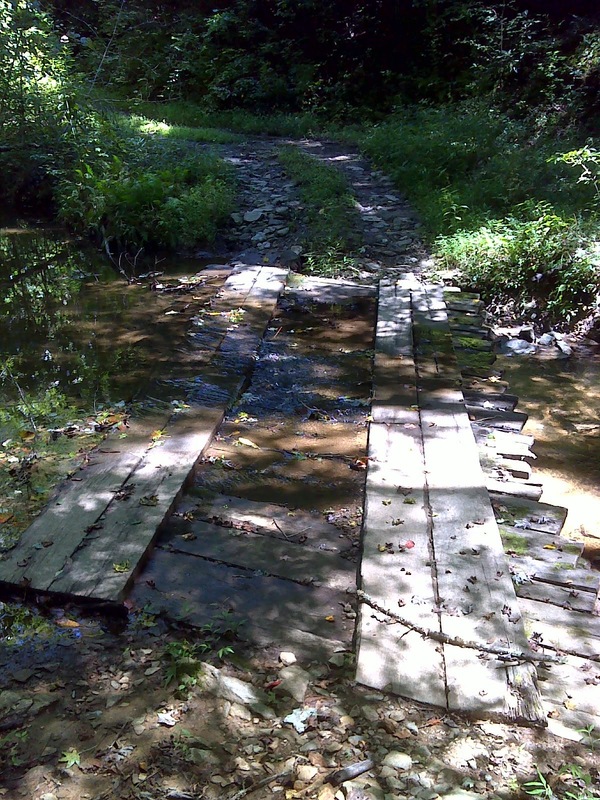 After passing the falls, the trail climbs about 1400 feet, joins forces with a Mountain Bike Trail called the Stanley Gap Trail for a couple of miles, then drops back down 1400 feet to a trailhead at the end of Weaver Creek Road. It's all beautiful, serene woodland in that section, far from civilization. But then the trail is tasked with negotiating about nine miles through private land on either side of busy four-land divided highway US 76. Serene woods is good for flower pictures and mushroom hunting, for listening to the birds and communing with wilderness, and for views if there are any (which there weren't). But walking the bits of trail cobbled together through private lands and on old abandoned roads and lesser used residential roads has its own charms. 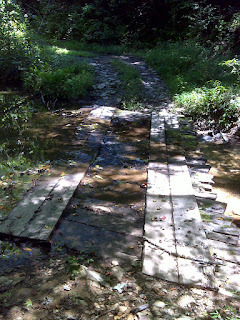 There was this wooden 'bridge' with an identity crisis. The wood is laid on the stream bed. It's really a ford. There was a horse who seemed to be in a rather sticky situation. And there was a good long field walk along the edge of a fallow 100 acres or so. I love it when I can hike under the open sky, since it happens so seldom on trails east of the Rockies. The end of my day was at US 76, where the trail crossing is well marked. 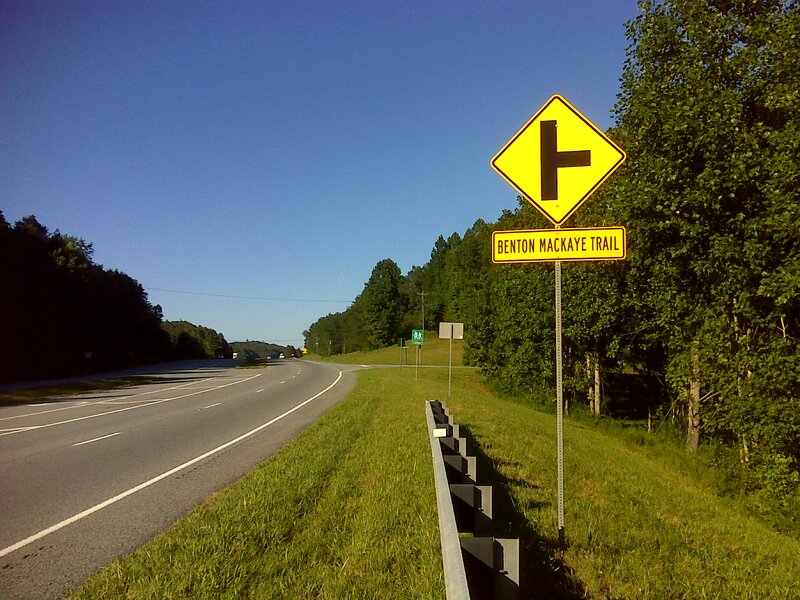 And up the highway about a half mile is the Benton MacKaye Trail Headquarters. It's a rustic log building, but doesn't look like it's ever manned with staff ready to greet visitors. It's more of a glorified shed. 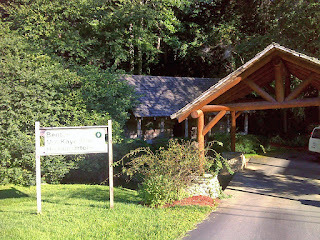 Note the faux covered bridge. As you'll see in my next report, the trail goes directly 'under-roof' of two more of these. Stay tuned. Below is a map of the trek reported in this post. The Pinhoti Trail, it's a biker's trail.